People who regularly used acid reflux drugs - proton pump inhibitors (PPIs) - after being treated for cancer-causing gut bacteria were more than twice as likely to develop stomach cancer, according to a Hong Kong study. The bacterium Helicobacter pylori, famously identified by Nobel-winning Australian scientists, is a known risk factor for stomach cancer. So the researchers looked at 63,397 people who had been treated for H. pylori, and found 153 people still went on to develop stomach cancer even after the bacteria were eradicated. Cases of cancer were more common among people who regularly took PPIs, especially for daily users. The long term use of proton pump inhibitors (PPIs), a class of drugs commonly used to treat acid reflux, is linked to a more than doubling in the risk of developing stomach cancer, finds research published online in the journal Gut. The risk rose in tandem with the dose and duration of treatment following elimination of Helicobacter pylori, the bacteria implicated in the development of stomach cancer, the findings show. Eliminating H pylori from the gut significantly lowers a person’s risk of developing stomach cancer. But a substantial proportion of those in whom treatment is successful still go on to develop the disease, the third leading cause of cancer death in the world. Previously published research has found an association between PPI use and heightened stomach cancer risk, but it was unable to factor in the potential role of H pylori itself, so undermining the strength of the findings. To try and get round this, the researchers compared the use of PPIs with another type of drug used to dampen down acid production called histamine H2 receptor antagonists (H2 blockers) in 63,397 adults treated with triple therapy--a combination of a PPI and two antibiotics to kill off H pylori over 7 days--between 2003 and 2012. They were subsequently monitored until they either developed stomach cancer, died, or the study ended (end of December 2015), whichever came first. The average monitoring period lasted 7.5 years. During this time, 3271 (5%) people took PPIs for an average of nearly three years; and 21,729 took H2 blockers. In all, 153 (0.24%) people developed stomach cancer after triple therapy. None tested positive for H pylori at the time, but all had long standing gastritis (inflammation of the stomach lining). Taking PPIs was associated with a more than doubling (2.44) in the risk of developing stomach cancer, while taking H2 blockers was not associated with any such heightened risk. And the longer PPIs were used, the greater was the risk of developing stomach cancer, rising to 5-fold after more than a year, to more than 6-fold after two or more years, and to more than 8-fold after three or more years. This is an observational study, so no firm conclusions can be drawn about cause and effect, and PPIs are generally considered safe, say the researchers. But recent research has linked their long term use to various unwanted effects, including pneumonia, heart attack, and bone fracture, they point out, adding that PPIs are known to stimulate the production of gastrin, a powerful growth factor. Proton pump inhibitors (PPIs) are a group of compounds that are used to block acid production in the stomach. These compounds are most commonly used to treat oesophageal reflux, peptic ulcers and are an integral component of antimicrobial treatments against infection by Helicobacter pylori, a significant risk factor in peptic ulcer disease and stomach cancer. The first PPI to be developed commercially, omeprazole (known as Losec or Prilosec), was released onto the market in 1988. In less than a decade, omeprazole became the largest ever selling drug. However, a study published in 1996 in the New England Journal of Medicine first raised the alarm that these drugs may have deleterious effects in some subjects. Specifically, it was shown that individuals who were taking a PPI and had an ongoing H. pylori infection were at increased risk of developing a precursor condition of stomach cancer, known as atrophic gastritis. As a result, it was recommended that before giving long-term PPI treatment, H. pylori should be eradicated. This new study by Cheung and colleagues now shows that even a prior H. pylori infection increases the risk of gastric cancer in subjects receiving long-term PPI therapy. Interestingly, the authors found no such correlation between gastric cancer risk and long-term treatment with other antisuppressive drugs, known as histamine-2-receptor antagonists, suggesting that acid-suppression is not the sole factor. 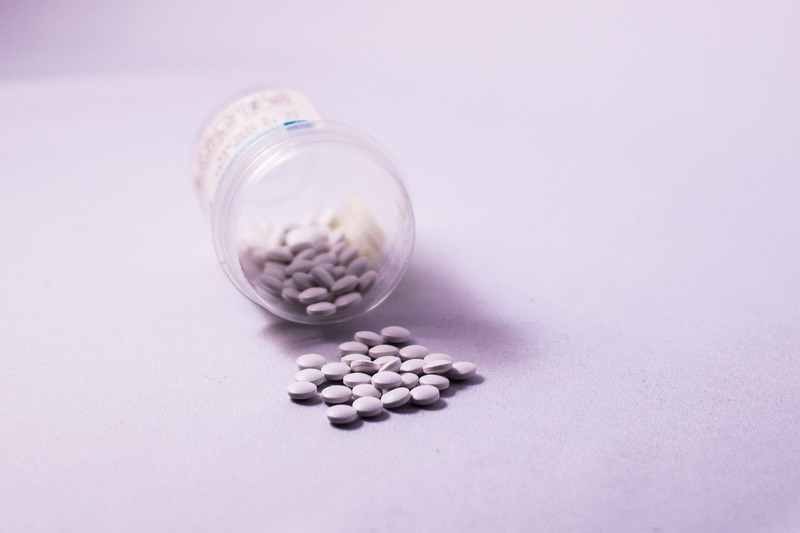 The work has important clinical implications as PPIs, which are among the top 10 selling generic drugs in the US, are commonly prescribed to treat heartburn. The major strengths of this study are its size, involving over 63,000 individuals, and its elimination of several important confounding factors, including an existing H. pylori infection. Until now, studies on the gastric cancer risks of long-term PPI use involved both H. pylori-positive and -negative subjects. One of the weaknesses of the study is that the authors were unable to obtain detailed histological findings on gastric biopsies from subjects. This may have helped explain why stomachs that have previously been infected with H. pylori are more likely to develop cancer in response to long-term PPI treatment.